Tonight you can fall asleep and rest peacefully because the horrific IHOP name change of 2018 is over at last. Its reign of terror lasted just under one month. RELATED: IHOP reveals name change to International House of... Burgers? The hysteria began the first week of June, when the pancake-centric chain announced it would now be known as...IHOb. A week later, and we found the new "b" stood for burgers, and soon the world was flooded with pictures of the menu's burger options. And now, a few weeks later, despite several storefronts swapping in new signage, and despite the chain even switching to an @IHOb social media handle, IHOP is backtracking hard and returning to its original name in what has been officially proclaimed as a publicity stunt (as if we didn't already know that). According to USA Today, the stunt had some benefits -- depending on your metric. The store's word-of-mouth score got a definite bump, as reported by YouGov, but not so much when it came to actual sales probability. 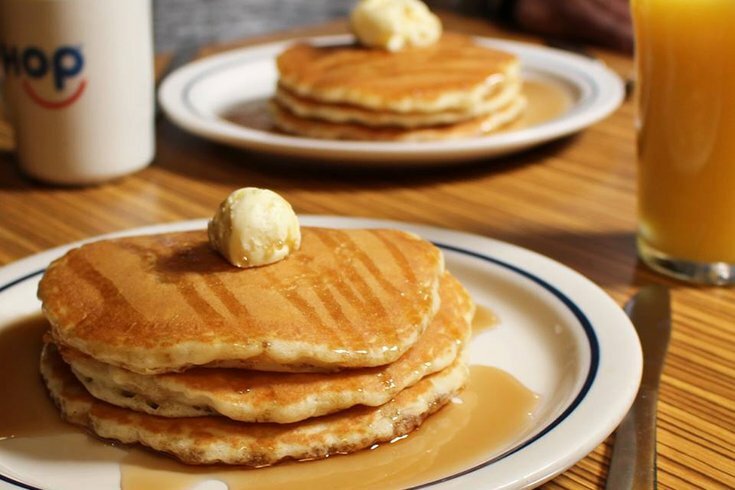 YouGov found that IHOP's purchase consideration score -- which measures the likelihood of consumers eating at a specific chain -- remained unchanged from January through June this year. "While unsolicited third-party results are interesting, interpretations of YouGov's findings don't completely or accurately reflect what we're seeing in our restaurants," said spokeswoman Stephanie Peterson in a statement to USA Today. If nothing else, we at least got some decent tweets out of all this. Live with your mistakes like the rest of us, @IHOP, you cowards.